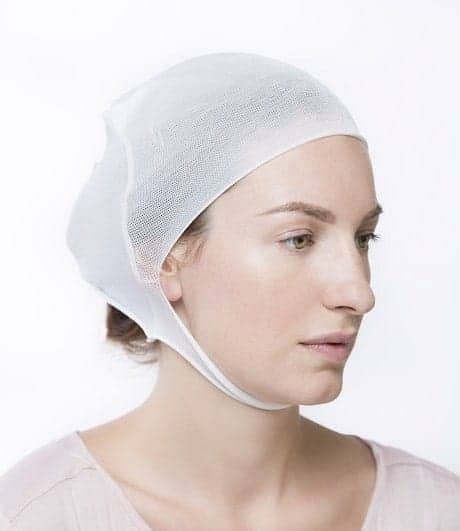 The seamless white elastic ready to use knitted head fixation bandage is made of artificial fibers. One size fits all. Can be used as a disposable cap as well.